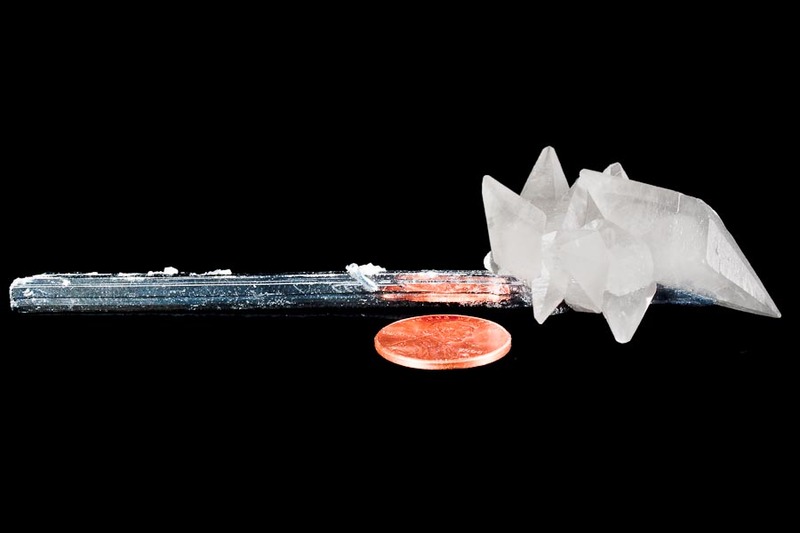 Comment: A group of doubly terminating Calcite crystals aesthetically perched upon the termination of a slender, yet robust, elongate crystal of Stibnite. 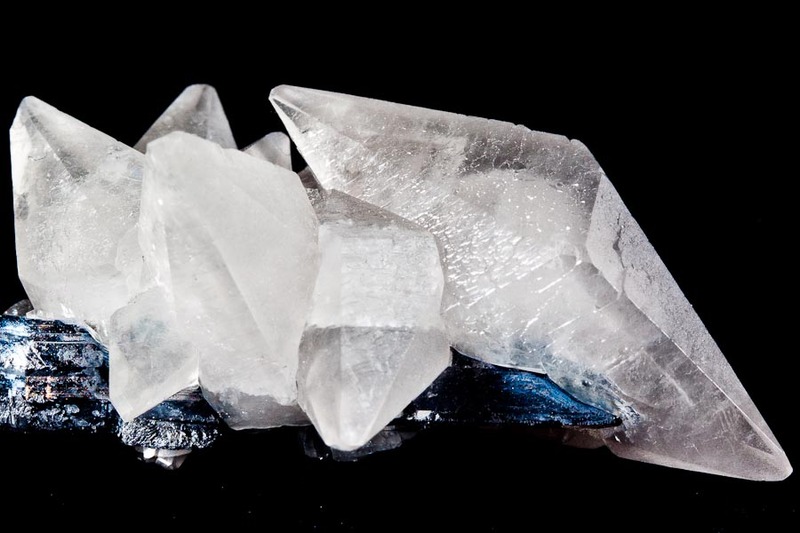 The condition of the Calcite crystals is excellent and the Stibnite has detailed striations upon its lustrous metallic crystal faces. A great display example and the photos say it all!